The exorbitant sums of money spent on securing sports TV rights have been controversial, but for broadcasters the alternative is losing a huge number of customers to rivals with deeper wallets. Broadband Genie asked 2,275 people about their subscription TV service, with a particular focus on sports. We found that for many access to particular sports is a deciding factor. 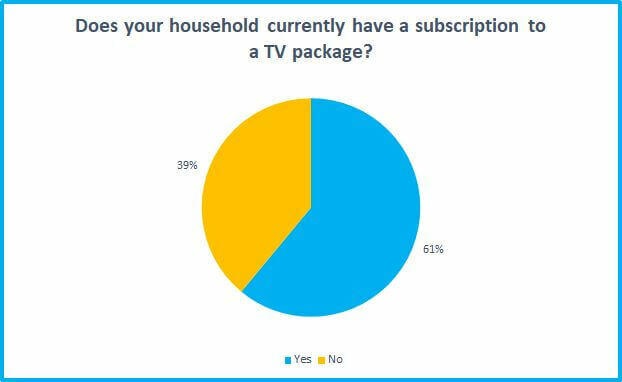 61% of respondents said they currently had a subscription to a TV package. 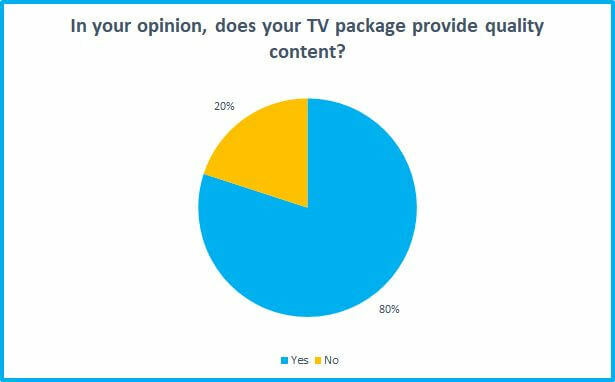 The majority of them say their TV subscription provides quality content, though fewer feel it represents good value for money. When it comes to sports we can see they’re hugely important for TV subscriptions. 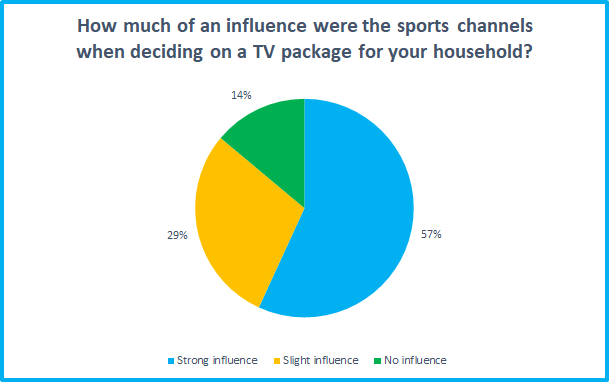 Of the respondents who have sports channels, 57% said sports channels were a “strong influence” and 29% said it was a “slight influence” on their decision to sign up to a premium TV service. 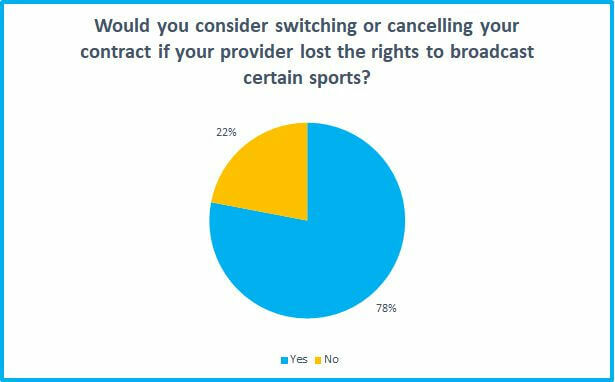 Most concerning for broadcasters is that 78% said they would consider switching or cancelling the TV subscription if the provider lost rights to certain sports. Failure to successfully bid on sporting TV rights could result in a big chunk of the customer base moving elsewhere. And of course this puts organisations like the FA in an extremely strong negotiating position, allowing them to demand ever larger amounts of money. 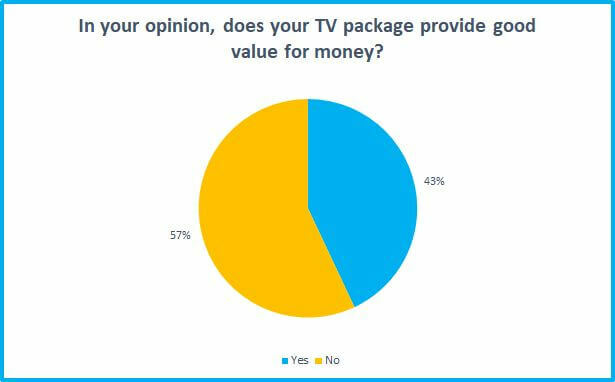 Of those who don’t have a TV package, the most common reason given was that they were too expensive. 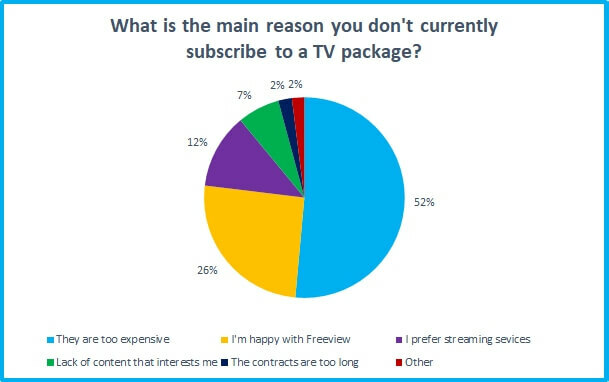 A significant percentage are also quite happy with the selection provided by Freeview broadcasts. 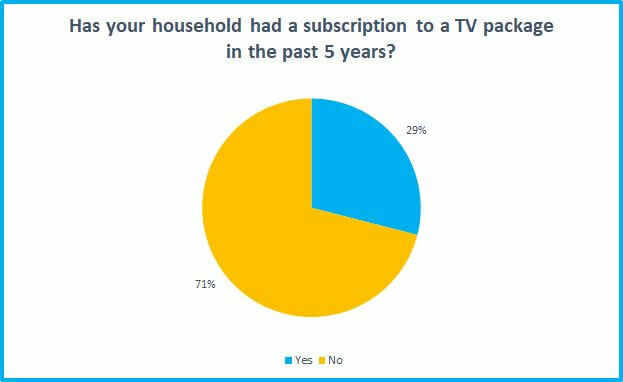 29% of non-subscribers have had a TV package in the past five years.